APC UPS Application Units are famous with their fast and easy Replacement Battery Cartridges. 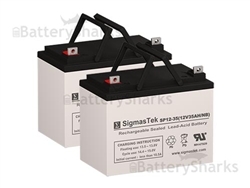 If you’re an owner of APC UPS unit that is using Replacement Battery Cartridge – 32 this article will help you to change the old batteries. 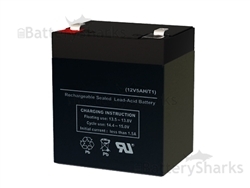 The installation of the replacement batteries requires no technical skills or background. If you have to change your APC Unit batteries for the first time follow this guide for fast and easy replacement process. First of all you have to disconnect the unit and everything attached to it from the electricity. Certain APC UPS Units are made hot – swappable, which means that the unit can stay plugged in the electricity while you removes and installs new batteries into the unit. However, since we can’t guarantee that your individual unit is hot – swappable, we recommend un-plugging the unit. After you disconnect your UPS Unit from the electricity it’s time to remove the old Replacement Battery Cartridge. In the most of the APC Units the batteries are under the faceplate of the UPS. There are several small pressure clips that hold the faceplate to the unit, a good tug or two on the top of the face plate should separate it from your unit! Once the faceplate has been removed, you will see the metal latch that seals the units battery compartment. If you look at the latch closely, you will see two small metal screws at either end located at the top of the latch, you have to remove these with yours Phillips head screwdriver to gain access to the battery compartment. After you remove the faceplate is removed, you will see a large Grey plug that connects the batteries to your UPS Application. The new RBC32 replacement battery will fit in the unit only one way! Remember how the RBC is positioned in the unit. 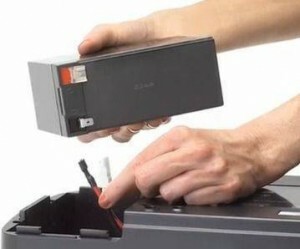 The battery replacement process starts with removing the Grey Clip that connects the RBC and UPS Application. After this you can start removing the old batteries from the connectors. 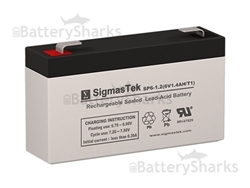 Replace the batteries and pull back the replaced battery cartridge. Connect the Grey clip with the RBC and attached the face plate back to the unit. If you found this article useful you may also like this one: What Influences UPS Battery Life?